We all intuitively know that money is not the only thing that motivates people, and in fact for many people it is not in their top five. We also know that unless we get the money “right” it will quickly become a source of demotivation which has a measurable impact on productivity and performance. More and more I see companies moving towards a model of “Total Rewards” – which means placing a value on everything the company provides the employee. It is critical that leaders understand the total cost of employee benefits before they start layering on additional financial incentives. It is just as important that staff understand the total value of their “rewards” so they gain an appreciation and realistic picture of their situation. Rewards may include the value of training, conferences, professional memberships, car parking and other benefits that contribute to the total package. TIP – Be wary of overpaying people. Take the time to consider the full value of benefits and incentives and tie as many components as possible to performance. Overly generous leaders are often guilty of sharing too much, too early with the wrong people – which can result in regret and embedded incentive schemes that are difficult to pull back. Classic mistakes include: double paying senior sales staff for sales and company performance, placing new (unproven) employees on generous incentives schemes that others have worked hard to be invited into, implementing a profit threshold that does not support business growth and inviting too many people into long term incentive schemes. TIP – Think ahead 3-5 years when designing incentive schemes. Will the people who are great for your business today continue to be great for your business moving forward? This is the most dangerous of the mistakes as it can end up costing you a whole lot of money and head ache as you enter into post employment negotiations and mounting legal bills. Having an incentive scheme policy with clearly defined and well-structured terms and conditions is essential to protect the business and provide clarity and consistency around decision making when the an employee changes employment status (or is moved on). TIP – Ensure the business is protected and all parties clearly understand the terms and conditions surrounding incentive schemes. When designed well, in the context of a high performance culture and an overall remuneration strategy, incentive schemes can be powerful motivators. Avoid these common mistakes! 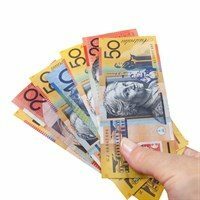 For a free consultation or review of your incentive schemes contact Talent Code at info@talentcode.com.au or 1300 559585.